Dr. Jerlean Daniel is Executive Director of the National Association for the Education of Young Children (NAEYC), the nation’s leading organization for promoting high-quality early childhood education for children from birth through age eight. Prior to joining the NAEYC staff, Dr. Daniel served as Chair of Psychology in Education, and Associate Professor in the Applied Developmental Psychology Program, in the School of Education, after serving as Assistant Professor in the School of Social Work, at the University of Pittsburgh. For four years, she was On-Air Faculty for “Heads Up! Reading”, a project sponsored by the National Head Start Association and the Council for Professional Recognition. Dr. Daniel currently serves on the Advisory Council for PNC Bank’s Grow Up Great initiative; the Board of The Fred Roger’s Company; and the U.S. Census Bureau’s National Advisory Committee. Previously, Dr. Daniel served on the U.S. Secretary of Health and Human Services Advisory Committees on Re-Designation of Head Start Grantees and on Head Start Research and Evaluation. She also served as a member of an Advisory Committee on Early Head Start; the NAESP Foundation Task Force on Early Learning; New Standards Project on Speaking and Listening for Preschool Through Third Grade; and the Allegheny County Early Childhood Initiative. Dr. Daniel is the author of a series of articles on transitions for infants, toddlers, and children with difficulties in child care; and child rearing practices and children’s names in the African American community. She has been frequently quoted in national, regional and local media outlets. Dr. Daniel was a child care center director for 18 years. 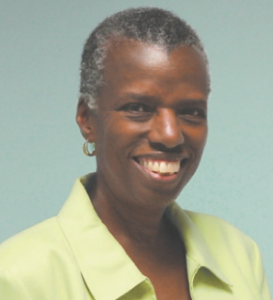 During that time, she served at various times as a Board member, Secretary, and President of the Pennsylvania Association of Child Care Agencies; President of the Pittsburgh AEYC; and Governing Board member and President of NAEYC. Dr. Daniel holds a B.S. in Political Science, an M.S. in Child Development, and a Ph.D. in Education from the University of Pittsburgh.